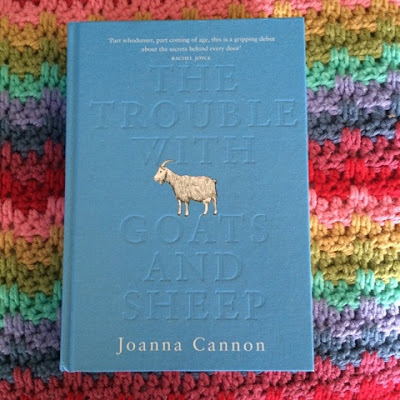 My book for February was The Trouble With Goats and Sheep which I've nearly finished - Laura's hosting a Twitter chat with author Joanna Cannon on the 14th, so I've got a few more days to reach the end! So far, so good. Once again, I've read barely anything - I've only finished one book, which was Not If I See You First* by Eric Lindstrom, a YA novel about teenager Parker who is visually impaired. I enjoyed it, but can't really remember much more about it! Whoops. February was definitely taken up by a lot of knitting and crocheting (mainly animals, blog post to follow shortly) and also a lot of busy weekends, which impacts upon my reading time. Although I should make the time for reading, really, as I do love it. A friend and I were chatting the other day about being busy, and she said she needs to live twice in order to do all the fun stuff she wants to do - that sounds about right! 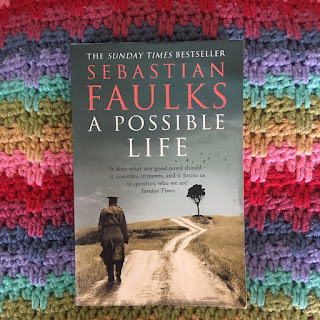 *This book was provided by the publisher via NetGalley. All thoughts and opinions are, of course, my own.